Welcome to the gateway to Africa! Spend eight days exploring the enchanting land of Morocco with a group of like-minded explorers. This unique adventure aims to be your introduction to the diverse and expansive country of Morocco. We will adventure through Morocco’s exotic cities and introduce you to the most diverse and exhilarating environments. This country has everything to offer, from Saharan dunes to high mountain peaks and sprawling forested hills to rugged coastlines; it’s as if Morocco was tailor-made for an SYB adventure. Imagine this: we fly into the City of Casablanca to explore its offerings and of course stop for lunch at Rick’s Cafe before hopping on a quick flight to the city of Ouarzazate. Nicknamed “the door of the desert,” Ouarzazate is our starting point to our Sahara excursion that will included guided tours of the desert, camel rides in the dunes of Chegaga, and some of the greatest desert activities like sleeping in the best Erg Chigaga desert camp, sand boarding, and Berber music around the fire under the stars. 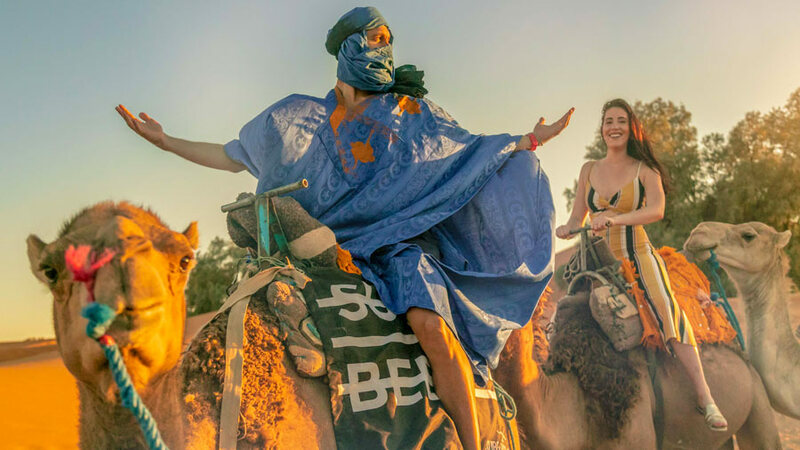 You will enjoy epic sunrises from the back of a camel followed by yoga in the dunes. And of course, we couldn’t end our Morocco journey without including a stop in the bustling city of Marrakech. Dubbed “the greatest spectacle on earth” and the “loveliest spot in the world,” Marrakech is a feast for the senses and offers an endless mosaic of marketplaces, musicians, and delectable foods. Basically, it’s a cultural paradise and just a short drive to the city of Essaouira, where we will end our journey by reflecting on the experience by the beauty of the sandy bay. Here’s looking at you, kid! Get ready to an SYB morning to it's fullest. We begin with wake up calls, more on this later, go straight into morning workouts and a hearty breakfast. 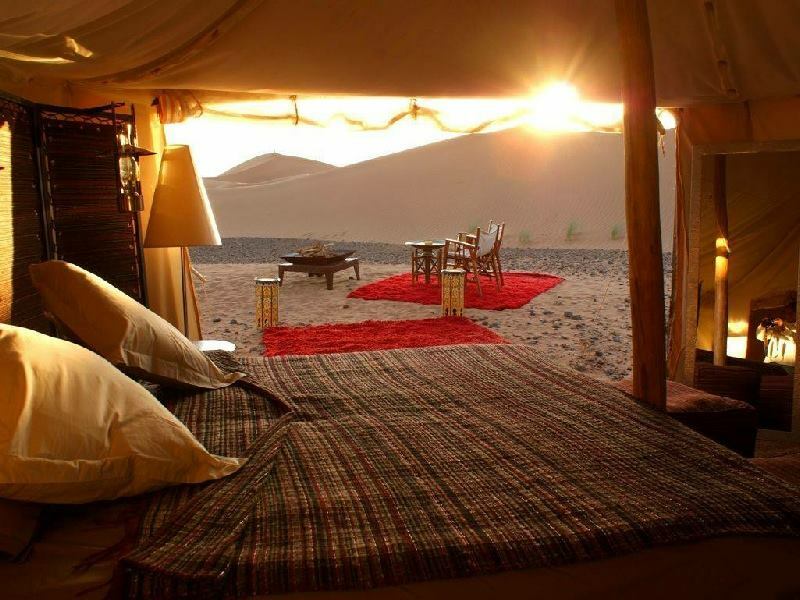 In the afternoon, we’ll complete our journey to the Sahara desert and get settled into our luxurious private desert camp! In the evening we're taking a sunset camel tour through the dunes, listen to berber music around a camp fire and enjoy a sky full of stars in the middle of the Sahara Desert. Wake up at dawn and ride camels into the heart of the desert to experience the spectacular sunrise before returning to your tent for breakfast. Enjoy some hiking, sand boarding, meditation and yoga in the dunes. 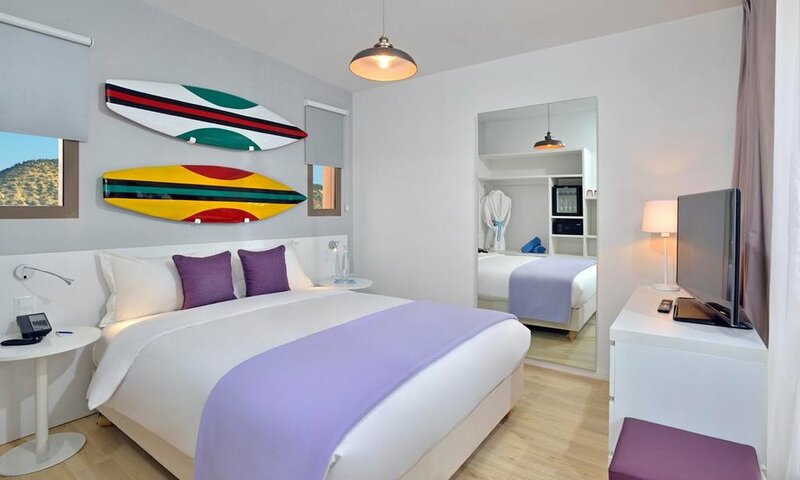 We're hoping onto the 8:45 am flight from ERH —> CMN —> AGA (arrive at 12:20pm) Once we check into our villas at Sol House Taghazout Bay we get our first sunset surf lesson! A day full morning workouts, yoga, surfing, beer! Experience the SYB lifestyle at its best! Later we'll explore the local area and see what Moroccan surf culture is all about! After our morning workout and breakfast we'll drive from Agadir to Riad Star in Marrakech. Here we have a tour of the medina and see the best of Morocco's nightlife! Spend the day exploring Marrakech, which Churchill described to Roosevelt in 1943 as “the loveliest spot in the world." Everyone will be checking out at 10am, some earlier some later. We will have an SYB bus taking people to the Marrakech airport. Until next time... or until we throw our next party because this friendship just started! Combine her BA in International Conflict Resolution (she can teach you yoga in 普通话 ), with over 5000 live hours of Master Yoga and Personal training, get ready for a work out and most importantly get a WORK IN. From losing her mom at 14 to breast cancer to overcoming her facial paralysis with Bells Palsy, she takes inner transformation seriously. In the spirit of beautiful balance, she also takes dance parties and tequila seriously. Adam is a big boss in body weight, hand stands and making people smile…. And umm he’s got a six pack dude! We’re staying at a total of four different locations. All the hotel are 5-star, from desert luxury camps, to boutique surf hotel in Agadir, and finally in Marrakech in the old medina center in an old fashion but luxurious Riad! This trip has some in-country domestic travel as we make our way across Marocco. We've tried to find a good balance between experiencing as much of Morocco as possible and have booked flight blocks for two domestic flights to ease drive times but there are still a few kinda long drives. Unlike most of our adventures, we don't start and end in the same place. Book your flight to arrive into Casablanca (CMN) on the morning of June 23rd (we'll meet up at noon at the airport) and leave from Marrakech on the 30th. Please email dude@surfyogabeer.com if you've got any questions about flights. We're going to be traveling across Morocco and staying at some really cool places! We'll be doing some adventures throughout this trip that require a bit of self awareness of the surrounding area. We encourage the buddy system and we keep an eye out for you but you're an adult and need to take of yourself. Also it's hot... You're in the desert in Africa.. Get the proper gear, and protection! We've got some pretty incredible Moroccan food experiences planned for you.